We started our third bowling season last night. It has become something of a tradition for me to bring snacks to our weekly games. Truthfully, I do it because I can’t bowl. Not even remotely well. I couldn’t break 100 if I used bumpers. My scores last night were 77, 79 and 69. Yeahhhh…don’t quit my day job, right? You may feel sorry for my team, but don’t! They eat very well. 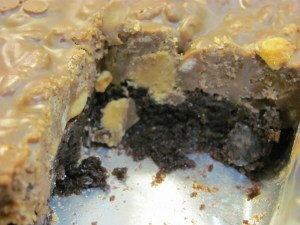 Yesterday I made PBK (Peanut Butter Krispy) Brownie Bars to kick off our season. This recipe is a variation of BrownEyedBaker’s “Better Than Crack” Brownies and they are very addicting! After all, who doesn’t love chocolate and peanut butter? Consider yourself warned, you may never go back to regular brownies again. I’m setting the bar pretty high on bowling snacks with these! They are easy to put together, and trust me, they are worth every delicious bite! 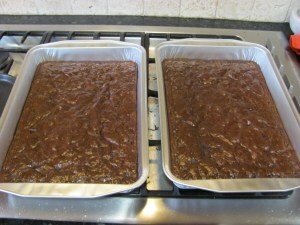 First, mix up a batch of your favorite brownies and bake them in a 9 x 13 pan for about 20 – 25 minutes. They won’t be done yet, but that’s ok, they’re going right back in the oven! I made two batches so I could take one tray to work. 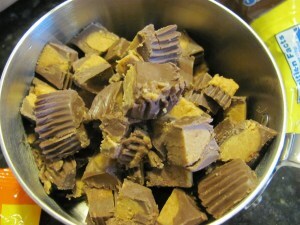 While the brownies are cooking, unwrap the peanut butter cups. 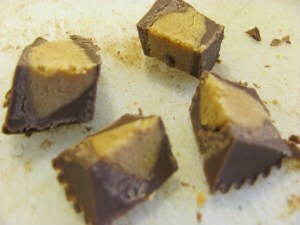 After “quality control” taste testing at least one of the Peanut Butter Cups, chop them up! You’ll need about one cup total. I used 16 of the mini cups. If you want to use the larger cups, 8 should do it! Now chop up some salted peanuts. 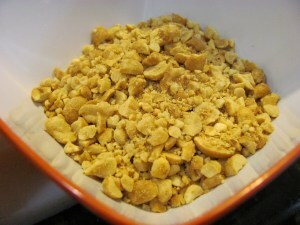 If you don’t have salted peanuts, use regular peanuts and add sea salt. 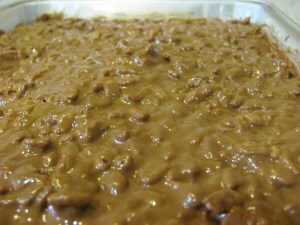 Pour both evenly over the top of the hot brownies. Put the brownies back in the oven for another 4 – 6 minutes longer. 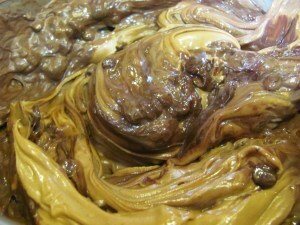 While they are finishing baking, melt together butter, chocolate chips and creamy peanut butter. 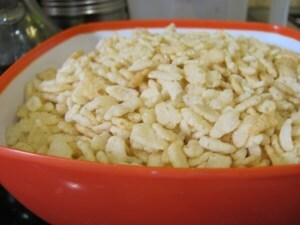 Now stir in Rice Krispies! 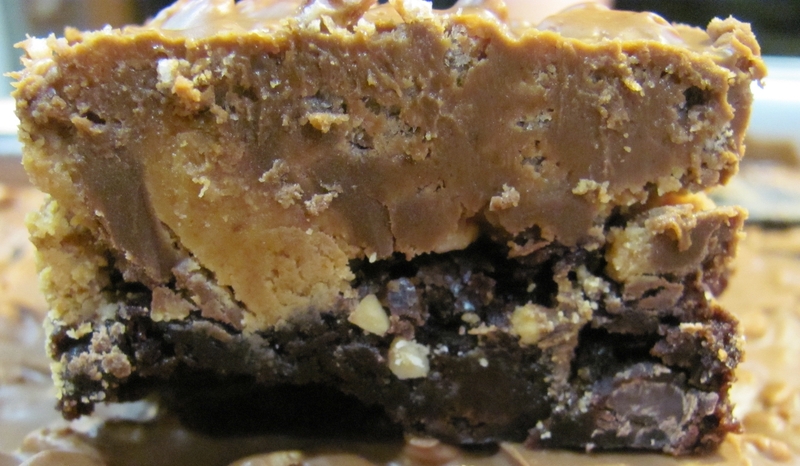 Take the brownies out of the oven and pour the chocolate/peanut butter/Krispy mix over the top! 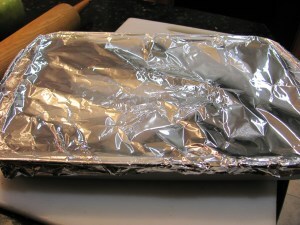 Spread evenly, cover and refrigerate at least two hours. Don’t forget to butter the top of the foil so it doesn’t stick to the chocolate mix! Here is the full recipe. Enjoy!! If using a boxed mix (Go with Ghirardelli’s – trust me), prepare brownies according to directions, and bake for 20-25 minutes in a 9 x 13 baking dish. 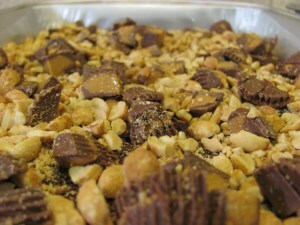 Remove from the oven and top with chopped peanuts and peanut butter cups. Return them to the oven and bake for 4-6 minutes more. While the brownies are finishing baking, melt the butter, chocolate chips, peanut butter in a pan over medium heat. Stir in the cereal. Remove brownies from the oven and evenly pour chocolate mixture over the top. Sara DeLeeuw is a self-taught home cook, wife (of 25+ years! 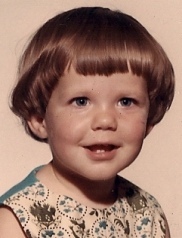 ), mother of three, certified foodie, cookbook collector, amateur photographer, book-reading, coffee-loving, disney-loving, life-loving gal! Just like her blog, My Imperfect Kitchen, she is not perfect. Perfect is boring. Perfect means there is nothing else to strive toward. Her motto is “Never trust a skinny chef!” Which she says makes HER very trust-worthy! 🙂 You can email Sara at MyImperfectKitchen@yahoo.com, follow her on Twitter http://twitter.com/#!/MyImpKitch, or on Facebook https://www.facebook.com/MyImperfectKitchen.